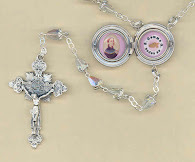 In the pictures we usually see of her, Saint Gemma wears the Passionist badge. She was not, however, a Pas­sionist Nun. Although she had begged permission to enter the convent of the Passionist Nuns at Corneto (Italy), she was not even allowed to make a few days' retreat there with other young ladies of Lucca. In fact, the letter is pre­served in which the Superior's refusal contains the cruel words: "We will not have our convent contaminated by her." It would be wrong to condemn this nun out-of-hand. She was not referring to Gemma's moral character. Rather, in her solicitude for the health of her community, she was giving voice to a fear which everybody had in those days of the dread disease still nervously called "T.B." [Tuberculosis -editor]. Gemma was a consump­tive, a carrier of a highly infectious disease, and, for that reason, she had eventually to be removed from her adopted family. Even then, it was only with great difficulty that a room was found for her in a dilapidated, three-­story tenement house where she died practically in quarantine. Where little fears grow great, great , love grows there." In fact, fear is one of the seven special Gifts of the Holy Spirit, the Spirit of Love, and is rightly called in Sacred Scripture "the beginning of Wisdom." Now, among all the evils to which we are exposed, what is the worst? The pope who canonized Gemma made this quite clear on one occasion a few years ago. At a public audience, Pope Pius XII said that the worst of all evils is not that whole nations could be wiped out by atomic explosions, nor that untold suffering would follow the poisonous radiation of "fall-out," nor that the earth itself might be blasted from its axis and sent sizzling into space as a cinder. No, he said, the worst of all evils is already at work in the world. It is not sin, not any kind of sin, nor all sins put together. The worst of all evils, he said, is the loss of the sense of sin. 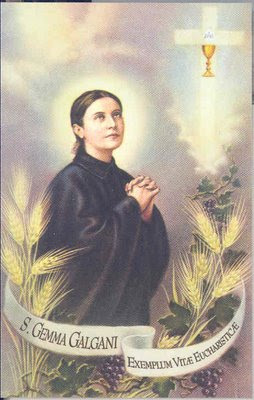 Saint Gemma was brought to ex­traordinary sanctity through holy fear, through a keen awareness of the evil that sin is. 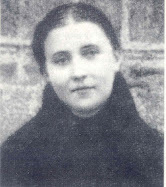 For, although she enjoyed the almost continuous visible presence of her guardian angel, although she was seen in conversation with an appari­tion of the Mother of God, although Christ Himself appeared many times to her, Gemma testified that "the greatest grace Jesus has given me is the horror of sin." What Gemma learned of sin, it seems that God intended her to teach us ­not by anything she said or did, but just by what she suffered. I do not mean the sufferings she bore in her flesh: that marvelous renewing of Christ's Passion when, every Friday for two years, she bled from wounds in her hands and feet and side. I do not mean her likeness to Jesus scourged, when great purple welts and ugly bleeding stripes suddenly covered her whole body. I do not mean her crowning with the very thorns of Our Lord, when her scalp was horribly punctured and blood, matting her hair, oozed down her cheeks and neck. No .. I mean the sufferings Gemma endured in her soul-the same kind of sufferings that come to all of us from time to time: the sense of failure, of loss, of loneli­ness, of misunderstanding; the unclean images that enter our minds; the sud­den, illicit desires that assail our hearts; the' doubts we sometimes have about the mysteries of our Holy Faith; the depression of spiritual aridity, when it seems impossible to pray, when we begin to think that even the reception of the sacraments is a waste of time. I mean, especially, the temptation to give up. Obviously this does not mean that Our Lord suffered any of the tempta­tions which arise from human nature as fallen-temptations which have their origin in "the kindling wood of sin," as the theologians call concupis­cence. The comparison between Jesus' temptations and Gemma's is "in the same way"-not "in the same things." That there was, in Our Lord, a very real sense of desolation on the cross is undeniable. Perhaps the only way we can explain it is on the analogy of the "dark night" both of the senses and of the soul itself. Certainly, in a context even more directly concerned with assailments of rebellious flesh, Our Lord told St. Catherine of Siena that it is God's way to try His servants "in the same way" that He permitted Him to suffer. The comparison is real, but it looks rather to the apparent withdrawal of divine help than to any specific kind of temptation. In this sense, we share Gemma's opportunity to renew in our souls the Passion of Jesus Christ. For tempta­tions of all kinds come to each of us every day. They may come in the holiest places, perhaps even at the very moment of receiving Holy Com­munion. They came to Gemma. She knew that she had nothing to fear from them, as such. But, with every temptation, there grew in her soul a fear, a horror of committing the least sin to which these temptations were soliciting her. She knew that in this way she was renewing in her soul, much more painfully than in her stigma­tized flesh, the very agony of Jesus in Gethsemani. For, when He was tempted, the Evangelist tells us, "He began to feel dread and to be exceed­ingly troubled." Do we experience anything like that holy fear when we are tempted? Do we foolishly think that there is something wrong with us, just because we have these temptations? Do we fear that this temptation is too much for us, forgetting the dear statement of Saint Paul that "God will not per­mit you to be tempted beyond your strength, but with the temptation will give you a way out . . ."? 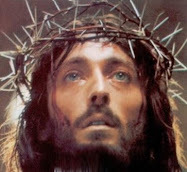 If we do, then we are missing an excellent op­portunity to supply "what is lacking of the sufferings of Christ . . . for His body which is the Church." Do we make light of temptation, put­ting ourselves deliberately in the way of it? Even though we know that we have fallen before, do we continue to keep company that has already proved dangerous for us? Do we still nourish the grievances that have led us to re­taliations and sometimes even to more cruel silences and omissions? Do we resent the spiritual comfort that is denied us? Do we parade our petty calvaries of sighs and scowls upon our faces? If we do, then we are indeed renew­ing the Passion of Jesus in our souls­ not by sharing with Gemma and with Jesus a holy fear and horror of sin­ but, as the Scripture says, by "crucify­ing again to (ourselves) the Son of God and (making) a mockery of Him." This "horror of sin" that Saint Gemma possessed is indeed very notable in her writings. Upon meeting Gemma, Father Germanus C.P. soon discovered, as we all do when we read her autobiography especially, but also her diary and letters, that Gemma had a heightened sense of sin, I would say "scrupulous", but not in a negative way. It was just that she was very aware and sensitive of her faults, especially her past weaknesses, and most especially the period of her life where she was somewhat "worldly" in her thoughts and outlook. We can recall that she called the Autobiography which Father Gemanus ordered her to write "the notebook of my sins" and at the very beginning she tells Father Germanus "I think, dear Father, that when you read this and learn of all my sins you will be angry with me and will no longer want to be my Father. Still I hope that you will always be willing... So prepare yourself to learn of every kind of sin." Concerning Gemma's human faults or frailties of which she calls her "horrible sins", we must remember that one of the interpretive keys to reading Saint Gemma is the horrible sins that she professes to have committed, were in fact very minor faults, and not willful grave sins. Having heard her general confession and other confessions on numerous occasions, Father Germanus is very clear about that point. A speck of dirt is very noticeable in a crystal clear vessel. Thus to Gemma her minor defects were very noticeable to her, and bothered her greatly, and to her they appeared to be very grave sins, but in reality they were more attributable to human frailty and weakness than serious willful sin. In fact, after her death her spiritual director, Father Germanus stated that after hearing Gemma's confessions numerous times, and her general confession on several occasions, he declared that in his opinion she was never guilty of a fully deliberate sin. Gemma knew firsthand the horror of sin, having first and foremost witnessed in ecstasy Jesus suffering and Passion on numerous occasions, but also having herself participated and shared in the sufferings of Jesus in her own body, in reparation for sin and for the conversion of sinners, through the stigmata, the crown of thorns and the scourgings which God had allowed her to be given at times during the last four years of her life. 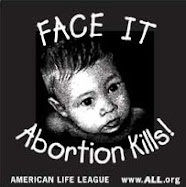 In light of this we should not then be surpised at her heightened sensitivity and horror of sin.